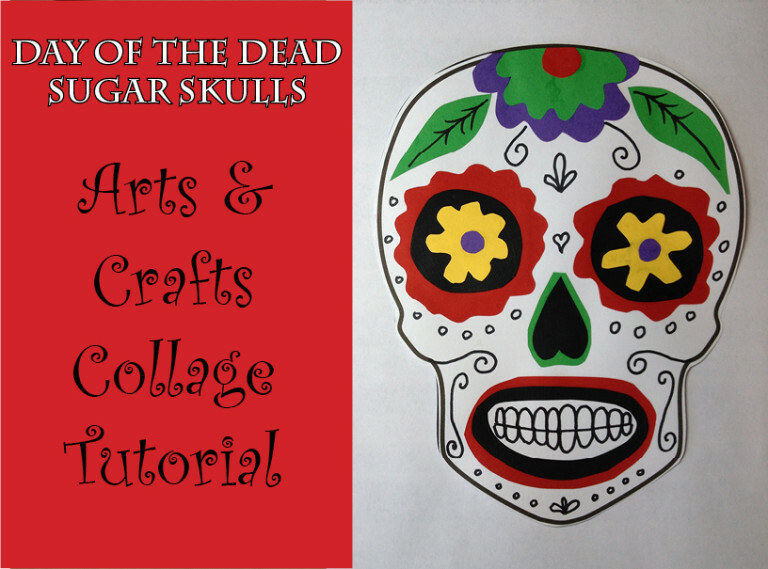 Author and Illustrator of the Day of the Dead Sugar Skull Coloring Books shows you how to make this fun sugar skull collage with your students. Supplies for the project include: Elmer’s glue, scissors, construction paper (or magazines, newspapers, wrapping paper & other paper scraps), a sharpie, a pencil, the sugar skull template (available for FREE download in this post), and cardstock to print the skull template. First, print and cut out the sugar skull template. Next, cut the eyes nose and mouth out of a dark color. Then have the students use different sized cups, lids, jars, etc., to draw circles on the construction paper. These will be used to cut out different sized flowers to decorate the sugar skull. Cut out the circles and then wiggle the scissors around to make floral patterns. These need not be exact, just resemble a flower. Cut out pieces from the construction paper that are just a bit larger than the eyes, nose, and mouth. Arrange the pieces on the skull first to see how it looks. You can let some of the flowers hang over the edge and cut off the excess paper when you are finished. When you have an arrangement, you can begin to glue. I like to use Elmer’s glue, which I squeeze in to a recycled lid and then use a q-tip to apply it to the various decorations. Once all the pieces have been glued on in an arrangement that you like, use a book to hold the pieces in place until your collage has dried. Finally, cut off any excess paper that may be hanging over the edge. This collage can now be used as mask by punching holes in the sides or gluing a large popsicle stick on the bottom. Otherwise, I am sure you have a great decoration for your wall or fridge. 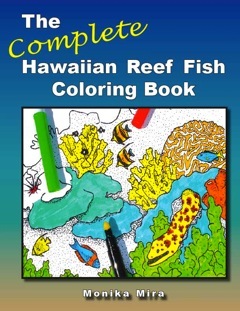 Be sure to sign up to receive FREE coloring sheets. 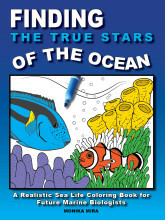 Our VIP members are often the first to get coloring sheets before they make it into my books. Share you finished art with us on facebook. 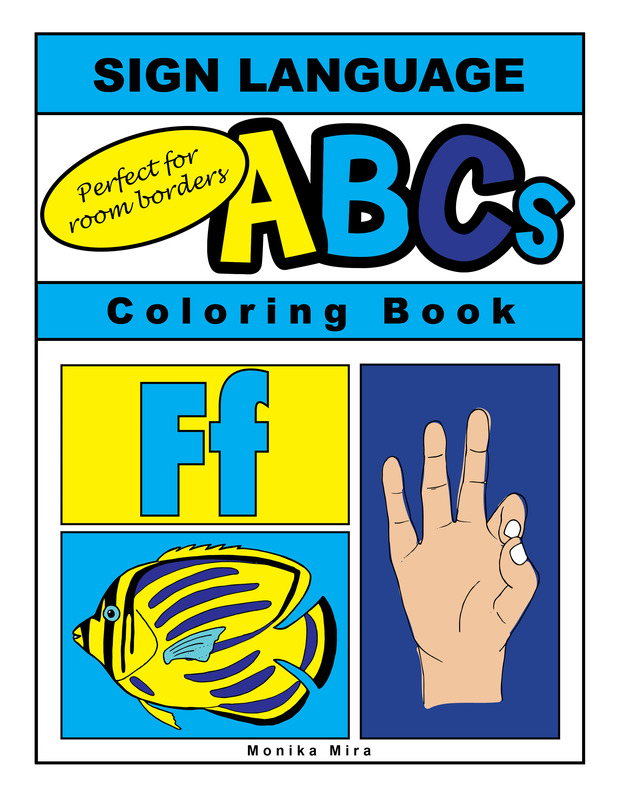 Follow us on pinterest for more educational arts and crafts for students.